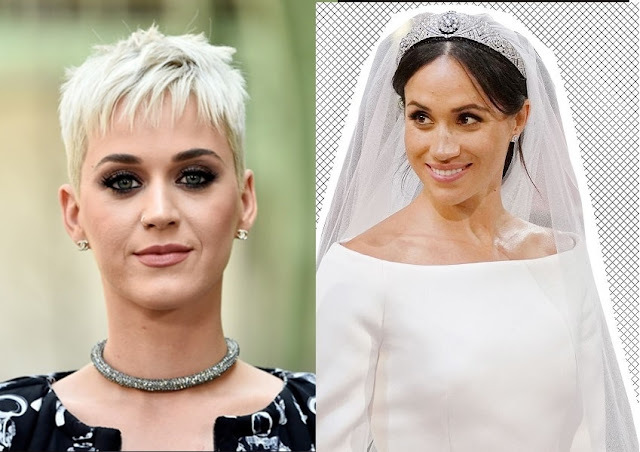 Katy Perry criticizes Meghan Markle's wedding dress - Here's what she said! Singer and American Idol judge Katy Perry has criticized Meghan Markle's wedding dress. According to Perry, the Duchess of Sussex's Givenchy gown needed "one more fitting". During an interview with Entertainment Tonight, the pop star suggested the royal wedding gown fell short of the bridal look Alexander McQueen designed for the Duchess of Cambridge's marriage to Prince William in 2011. Markle's dress costs £387, 000 while Kate Middleton's was £250, 000. Despite her criticism, Perry said she was "so happy" for the couple. "I would have done one more fitting," Perry quipped of the Duchess of Sussex's Givenchy gown. "I'm never not going to tell the truth! One more fitting, but I love you." The duchess's wedding dress - which had been kept a closely-guarded secret - was finally revealed when she stepped out at St George's chapel in Windsor on Saturday. Kensington Palace said the Duchess worked closely with the designer because of her "timeless and elegant aesthetic, impeccable tailoring, and relaxed demeanour".